The truth of the Mirror Universe Captain Lorca is a shameful missed opportunity; leaving Star Trek: Discovery utterly rudderless. After recent events in Star Trek: Discovery, the viewer cannot help but feel genuinely set adrift. While there are several important instances in the show’s narrative that have led to this, perhaps, enduring emotional state, paramount to the story is Captain Lorca’s grand deception of being a member of the Mirror Universe. 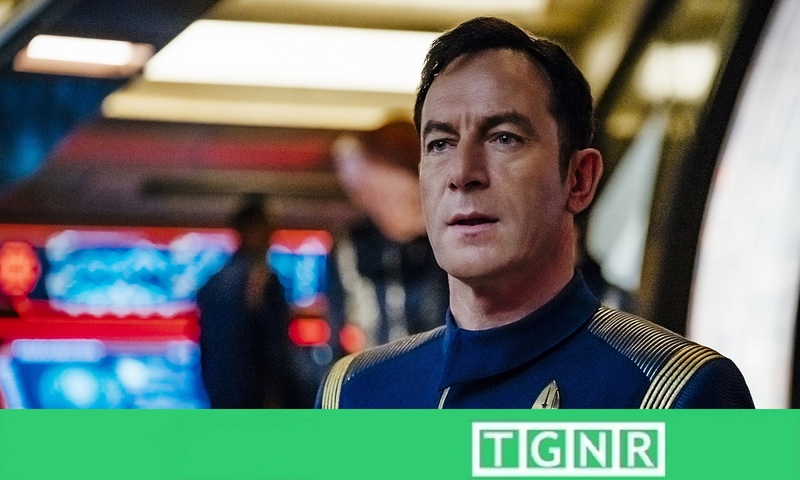 Making him the mirror universe Captain Lorca is a choice by the writers that is unconscionable, and the long-term ramifications could be terminal for the nascent Discovery. As described by Kristen E. Strubberg, placing Lorca as the Mirror Universe version of his presumably dead Prime Universe counterpart leaves Discovery absolutely “rudderless.” At present, USS Discovery is being maintained by her very capable and stoic first officer Saru. However, the ship remains without a true, full blooded, four-pipped captain and that cannot hold without horrific problems. Despite Discovery’s narrative focus on Michael Burnham, any Star Trek fan knows that the absence of the established captain is a spiritual amputation. The captain sets the tone, interprets their mission, and most importantly provides leadership from the front, by example – the only leadership. Beyond the state of Discovery’s crew Lorca’s departure has created, it is less than nothing when compared to Lorca’s greater mission and purpose: winning the war against the Klingons. Several times I have spoken to friends that have outwardly called Lorca “evil” prior to his reveal. While the description “evil” has distinct moral applications, it tells us less than nothing, and is at best problematic. Let’s be clear ladies and gentleman and various androgynous species: the Federation is engaged in total war. In human history there has only ever been a single instance of total war: the highly analyzed conflict, the Second World War. What is total war? Total war is the clash of implacable enemies whose only definition of victory is the outcome of unconditional surrender, complete capitulation. In fighting said conflict, nations utilize the entirety of thier military might, industrial capacity, as well as mobilizing the whole of their population to achieve victory. The Federation-Klingon war in Discovery is an elemental point in Trek history, one in which the adversaries have entirely contradictory world views. While the Federation is always inclined toward diplomacy, the Klingon’s at present are only interested in conquering the Federation in total. So, why is that so damn important? In this case the high minded and preferably pacific nature of the Federation must defeat a vicious enemy to survive. Unfortunately for anyone who has a background in military history or grand strategy, it is unmistakable that Starfleet is completely inept at properly planning and fighting wars. For those DS9 fans in the house – other than it’s necessary narrative dramatic purpose – the Dominion war should never have happened. Waiting to seal and then eventually mine the entrance to the Bajoran wormhole last minute in order to thwart Dominion incursion was by definition incompetence. Long story short, they need a lot of help, and Lorca was their guy. When those who had posed the Lorca is evil aspersion, I would always reply, “He is not evil, he is Curtis Lemay.” Whether many of us like it or not, there comes a time when what we hold most dear must be defended by a George S. Patton. Unique and brilliant masters of warfare who have very little place in peacetime. This was Gabriel Lorca. When the Discovery returned to their proper universe nine months after they departed, there is a reason that the Federation is near collapse; they lost the man who was born to lead its fight to victory. As unpalatable as it may be, paradise had to be defended by someone who intrinsically understood and embraced the nature of war. The Federation collapsing is more than the Discovery not being able to relay their information to crack the Klingon cloak. It was the loss of the Captain who headed the mission to make it so. These are the facts, and they’re undisputed. What the Hell is Discovery doing playing around in the Mirror Universe? A reality where sweet facial scars and goatees are always in fashion. Yet perhaps what is most disappointing is the loss of a truly layered disposition and a remarkable human story that was Captain Lorca. Making him part of the mirror universe robs the audience of an amazing character, and makes Lorca a cartoon character. Jason Isaacs in his media spree following the big reveal stated that he chose the role of Lorca because he was a complex villain, and had no interest in playing a bad guy twirling his mustache. With great respect to an actor whose work I admire immensely, the twirling mustache is precisely the character he assumed. For long time Trek fans, each know clearly that the mirror universe was a gag. It was a trend starting with TOS “Mirror Mirror,” considerably developed on DS9 and topped off by Enterprise. Each instance having been done so for the writers personal amusement, and to the eternal chagrin of the brilliant actor who portrayed Elim Garak, Andrew Robinson. Never plain nor simple. A face that describes the situation as words never could. I will never understand why it was necessary to visit the mirror universe amid Discovery’s first season. With so much substance in the present prime timeline, it was a trope only little worse than a serious temporal incursion. For most of the season prior to the Mirror Universe diversion, I operated under the belief that the venerable writer, director and Discovery’s Consulting Producer Nicholas Meyer had a firm influential hand in creating the story. However this is not the case, saying to Inverse this past September that, “I would sort of put in my own two cents every once and a while.” This is clearly in evidence, as I would never have expected such a stunt under the supervision of the man largely responsible for the best Trek movie ever, and The Seven-Per-Cent Solution. Meyer is a gentleman who has brilliantly portrayed the best human stories through the lens of science fiction. In addition to someone I would imagine would be highly intrigued by the concept of such a multifaceted character as a prime universe Gabriel Lorca against the backdrop of Federation decency and idealism. As precisely described by contributor for The Mary Sue Kaila Hale-Stern regarding the incredible narrative losses that occurred in the mirror universe foray (namely the death of amazing Doctor Culber, the emerge of “Ash-Voq,” and Lorca’s reveal), “it feels as though we’ve lost far more than we’ve gained.” Truer words were never spoken. Unless Discovery’s writers manage to orchestrate a disturbing use of deus ex machina, Discovery is upstream without a paddle. It is a position the show should have never been put in to begin with. That is a situation at its very best is amazingly disappointing and profoundly disheartening. However one chooses to interpret these events of the first season is their own, and perhaps others can more easily digest these turn of events – I cannot. All being fair, it is still wonderful to have new Star Trek being created. Though as the legendary Klingon Dahar Master Kor once commented about himself also best describes Discovery’s current condition, “I was once, if you remember, far less than you see, and far more than I have become.” Discovery is on thin ice. As Discovery is set in the Prime universe, it is important to note that the audience has several fascinating possibilities to emerge that have not yet been seen. Specifically three great Klingons of this era, Kang, Kollos and the aforementioned Kor. All incredible hallmarks of the Trek universe, all who have served as Federation adversaries and eventual negotiators for lasting peace between the two galactic powers. Those with a keen eye for detail have undoubtedly noticed that the vanquished Kol was from the House of Kor. This cannot be a coincidence, and speaks to these three warriors possible place in upcoming events. The other amazing prospect that if used would stoke the heart of all Trek fans is the introduction of one Curzon Dax. Curzon is the Trill host to the Dax symbiont prior to Jadzia, and also served as the Federation Chief Diplomatic negotiator with the Klingon Empire – specifically sitting across the table with the aforementioned trio. If there is one thing the Federation needs at this juncture – other than capable military leadership – it is a diplomat who understands the Klingons, and can do business with them. Should Curzon emerge going forward, it would weave a thread through the Star Trek tapestry that no fan could help but adore, and admire.